PMV develops, manufactures and markets industrial valve positioners and switchboxes world-wide. The approached market is the process industry including pulp and paper, oil and gas, power, refining and chemical process. PMV holds an ISO 9001-2000 certificate of conformity which guarantees a high product standard and dependable delivery. 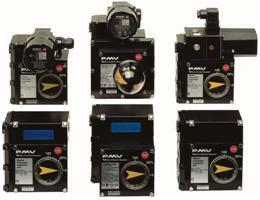 The PMV products are known for their reliability in a wide variety of often harsh environments.